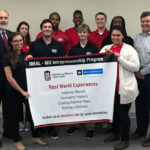 NIU and Goodwill Industries of Northern Illinois are again teaming up to help students move out of their residence halls—while also helping the environment and the community. 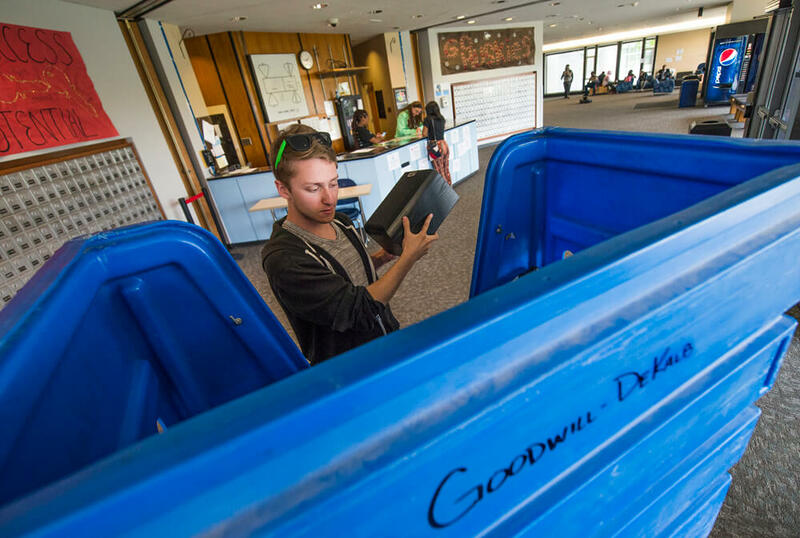 Junior Cameron Kirk places a speaker in the Goodwill donation bin during move out in the Grant North residence hall lobby on the campus of Northern Illinois University. 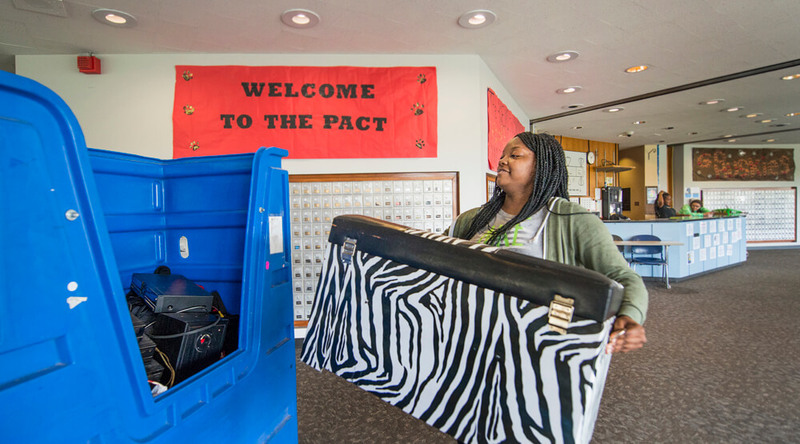 The Goodwill Campus Move-Out campaign, originally piloted by NIU and several other universities, provides an easy way for students to take home what they still need and donate what they no longer want to a worthy cause. Since 2012, NIU has collected nearly 60,000 pounds of donations. Goodwill sells donated items to help fund job placement and training services in the region. Large blue containers are already located in the lobby of each NIU residence hall. Students are encouraged to donate gently-used clothing, lamps, working condition electronics (but no televisions), kitchen items, sporting goods and non-perishable foods, which will be provided to a local food pantry. 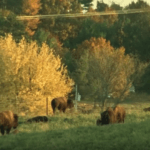 The donation drive will continue through this week. NIU freshman Taqori Halliburton moves a trunk into the Goodwill donation bin during move out at Grant North. Based in Rockford, Goodwill Industries of Northern Illinois first teamed up with NIU and its Institute for the Study of the Environment, Sustainability and Energy in December 2012 to collect clothing and other gently used items. 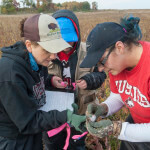 The following spring, NIU participated in a national pilot program to provide students with an easy way to be environmental stewards, while at the same time aiding the non-profit organization. Goodwill has since expanded the program nationally with more universities every year, according to Mary Ann Matus, corporate donations manager for Goodwill Industries of Northern Illinois. “NIU has always done a great job for us,” Matus said. The success of campus move-out events is driven by awareness of the many benefits of the program. By participating, students around the country prevent hundreds of thousands of pounds of reusable items from ending up in landfills. Students also save their college campuses time and money that would be spent on soaring trash removal fees. And the social impact alone makes it a worthwhile endeavor. Last year, Goodwill organizations collectively created more than 26,000 hours of job-training services from the sale of items donated during campus move-out events.